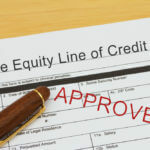 In a home equity line of credit (HELOC), a homeowner is eligible to borrow up to 85 percent of their equity as a flexible line of credit. This grants the borrower access to funds for further investment, home renovations, vacations, and so on. 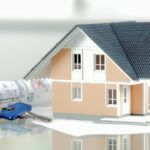 The main risk to borrowers is that the home is collateral for lender. Nonpayment or even late payments could put homeownership in jeopardy. A borrower is limited by their credit history, payment record, and amount of equity built up in the house. 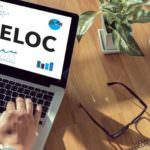 A HELOC allows for more spending flexibility. If combined with timely payments, a HELOC can end up costing less than a loan without sacrificing financial goals. It is also important to remember that the applicable rate is only in regards to amount withdrawn on the credit line, not necessarily total amount available. A loan, on the other hand, is an all-or-nothing deal where the entire loan amount is subject to the lender’s interest rate. Lastly, HELOCs tend to have lower rates applicable on the withdrawn amounts. 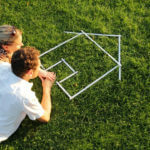 These factors make HELOCs a more attractive option for homeowners. The health of the North Dakota housing market is based on prices of oil and key agricultural commodities. Central and especially western ND has housing demand and associated economic activity tied to oil prices. Areas not tied to fossil fuels, especially in context of the massive Bakken formation, are primarily a function of wheat prices. North Dakota’s primary agricultural export is wheat. Wheat prices spiked in early 2008. After falling and swinging through a gentle “U”-shaped recovery by 2011, prices have been on a gentle but persistent decline. Supply shocks or a sudden increase in demand are unlikely to materialize, meaning that surrounding economic activity, including the housing market, is likely to follow a gentle flat or downward trend. Oil prices are affected by different dynamics, but have also been constrained lately by the role of shale oil companies as swing producers. Since corporations are not driven by a geopolitical agenda as is OPEC or nationalized production operations such as those in Russia or Venezuela, it is difficult to foresee a government-imposed reduction in supply that would drive up prices. OPEC’s attempts to boost prices would be countered not only through unconventional oil sources such as shale, but also because cartel participants have an increasingly tempting incentive to cheat and increase production as prices increase. These factors mean that North Dakota housing will not rise significantly, and neither will the volume or amount of HELOCs. Bremer Bank, Bank of the West, First State Bank of North Dakota, and others all offer HELOCs to qualified borrowers. Interested prospective borrowers would be well served to have an existing relationship with the bank, and to take steps to clean up any other debt and credit score before applying for a HELOC. Borrowers should not apply to many lenders in a short time. The repeated inquiries will have a negative effect on your credit score and adversely affect available rates if approved. 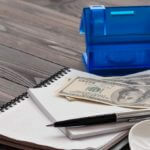 It also helps to have substantial equity in the home and a reliable repayment plan since the home is collateral liable to be seized if the line of equity is not properly paid back to the lender.